01. What is a Rogan Josh Curry? 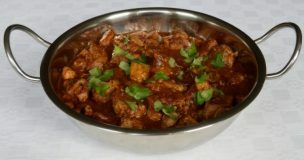 Rogan Josh is a medium-spiced and aromatic curry that has a thick consistency and a deep red colour. 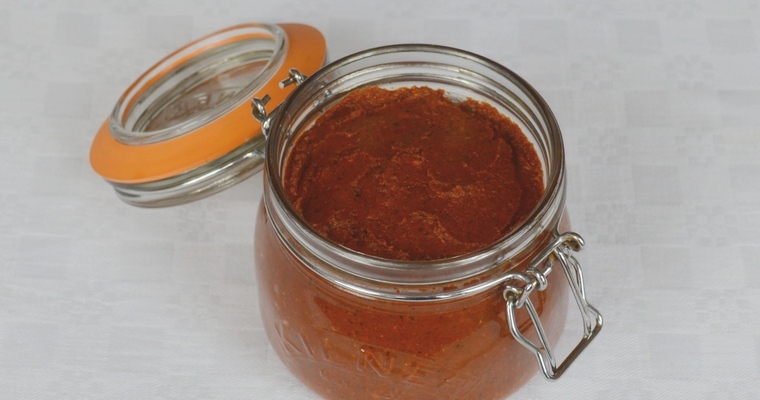 The body of the sauce comes from pureed peppers, while the colour comes from dried red chillies. However, as the chillies are normally de-seeded, it is not a hot curry. Rogan Josh is characterised by smoky, aromatic flavours rather than pungent heat. It is generally made with tough cuts of meat, which need to be cooked for a long time to break down the gristly connective tissue and convert it into silky smooth gelatin. This low and slow cooking mellows the spices, and thickens the sauce as the meat proteins dissolve into the cooking liquid. When cooled, the enriched sauce will set like jelly. 07. What dishes can I use a Rogan Josh Curry paste in? Rogan Josh is usually made with diced lamb or goat. Due to the long cooking time, it is important to use a cut of meat taken from a hard-worked or weight-bearing part of the animal, such as the neck or shoulder. These cuts are full of tough, connective tissue that will melt down into gelatin and moisten the meat as it cooks. Tender cuts such as loin will simply dry out, resulting in tough, flavourless meat. Vegetable curries are also unsuitable for this paste. The quick cooking time does not give the spices enough time to mellow, so you end up with a rather potent curry. Toast the whole spices. Break open the cardamom pods by crushing with the broad side of a heavy knife. Shake out the seeds and discard the husks. Heat a large frying pan over a medium heat. Add the whole spices (cardamom seeds, cumin seeds, coriander seeds, black peppercorns, cloves, cinnamon stick, bay leaves and dried chillis) and dry fry for 1 – 2 minutes, or until they release a fragrant aroma. You may need to do this in batches, depending on the size of your pan. Purée the aromatics. Put the aromatics (garlic, ginger, red peppers and tomato purée) in the small bowl of a food processor. Blitz until smooth. Add the ground spices. Tip in the toasted spices, and the remaining paste ingredients (paprika, garam masala, turmeric and salt). Blitz to a smooth paste.